Track revenue generated from multiple lines of business and deliver customized services to the right client to improve revenue. Telecom companies around the world are facing stiff competition, challenging marketing conditions, stringent regulations and decline in profits. High competition and over the top services are major reason for customer churn. Customer attrition is a concern in this industry. Customers usually churn due to low quality of service and bad experience while registering the complaint. Many a times when customers do not receive a good response from the call center agents, they tend to churn. Also better services provided by other companies are good reason for customers to fly away. When a customer walks away to a new service provider it affects companies cost of acquisition as well as revenue. 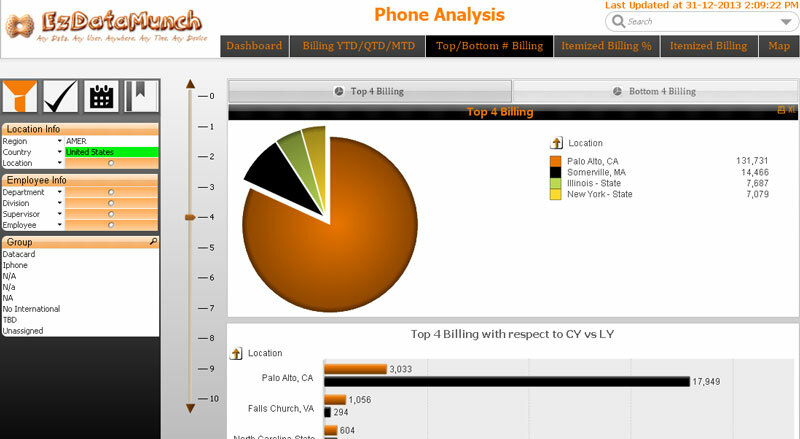 Every year telecom companies face billions of dollars of losses due to customer churn. Another reason is network congestion. 45 % of mobile users churn because of network quality issue. This combined with the facility of number porting takes the loss one step ahead. All these issues have made customer experience top priority for all the telecom companies and preventing churn a top goal. Lack of timely insight and delayed response time are two main limitations for telecom companies. Usually call centers are more reactive than active and by the time they solve any issue its already too late. Companies use past data about segments, preferences, call center interactions and usage patterns to identify subscribers who are at risk to churn or buy additional services in the long run. Subscriber churn or revenue enhancement can be defined by events such as negative network experience or variations in usage. Lack of real-time visibility into customer behavior restrict agents to act at the right time in the right way to stop customer from churning. This makes agents more reactive rather than active. 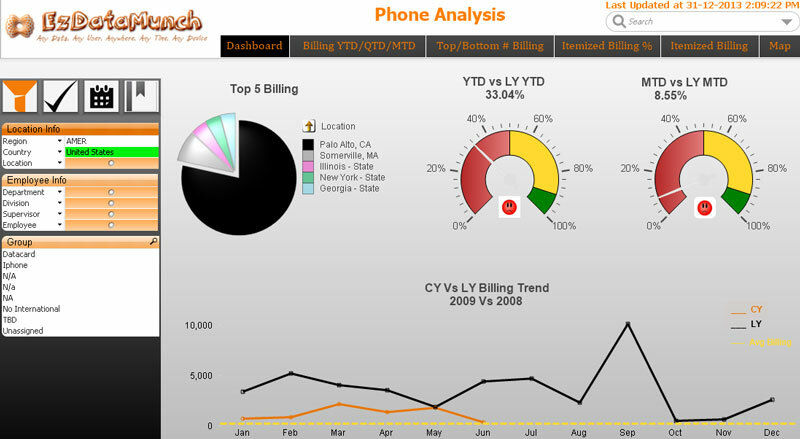 Our telecom business intelligence dashboards can help gauge customer behavior from disparate events, live customer calls and provide real-time dynamic data to prevent churn and revenue loss. 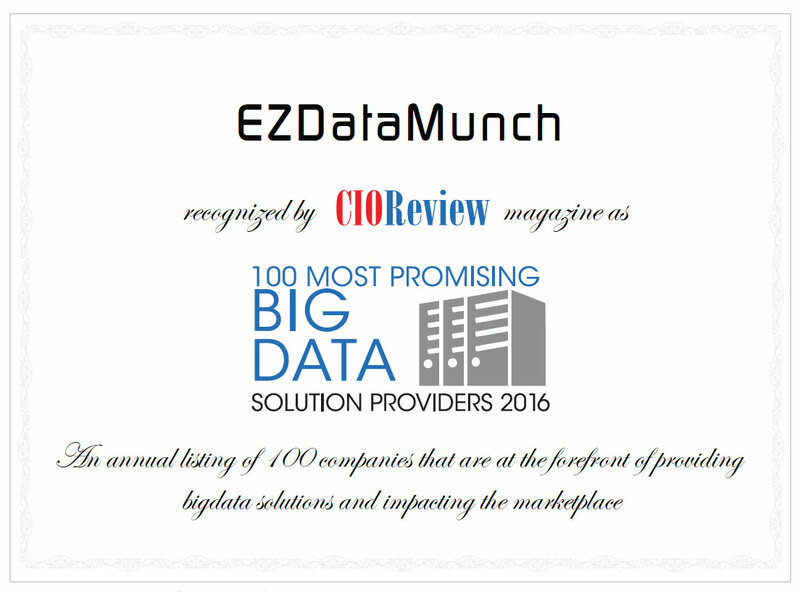 EzDataMunch’s comprehensive suite of telecom business intelligence solutions consists of dashboards that give end-to-end visibility into the revenue chain of the company. Companies can view key metrics such as churn rate as per customer segments. View average revenue per user (ARPU) growth as per customer segment, net promoter score, lead response time, marketing conversion rate and more. Get real-time and quick visibility into information collected from multiple customer events. Take informed decision regarding revenue enhancement and tackling customer churn. 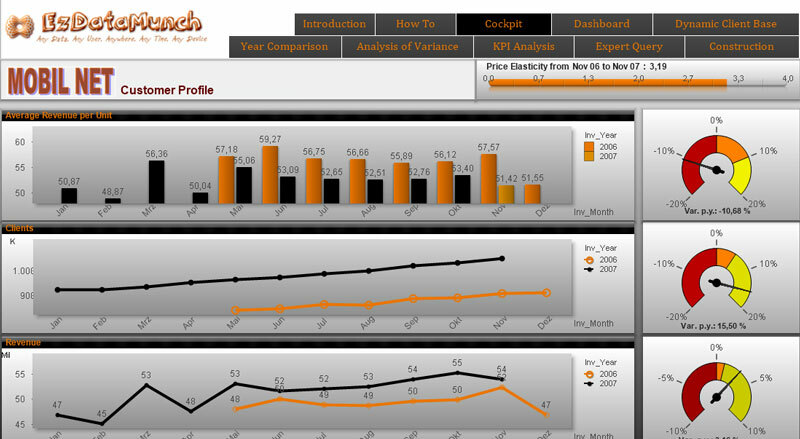 Get complete insight of revenue generated from multiple services in one dashboard. Compare growth in terms of average revenue per user (ARPU), customer and revenue with previous years data to track changes and identify patterns to forecast future growth.